Breakfast in our house during week days is pretty basic. Milk, cereal , ruits and coffee. My DH leaves for work very early. My DS wakes up much later and leaves for school soon after breakfast. I survive on a hot cup of coffee ( which is a must for me to begin my day on the right note:)) till my DH and DS leave for work and school respectively. I drop my kiddo and only after i come back, I peacefully eat my breakfast.So you can see everyone eats breakfast at different times. But during the weekends, we all eat breakfast together. Some weekends we wake up so late that we end up having brunch:)..So its during the weekend that I make proper Indian breakfast. 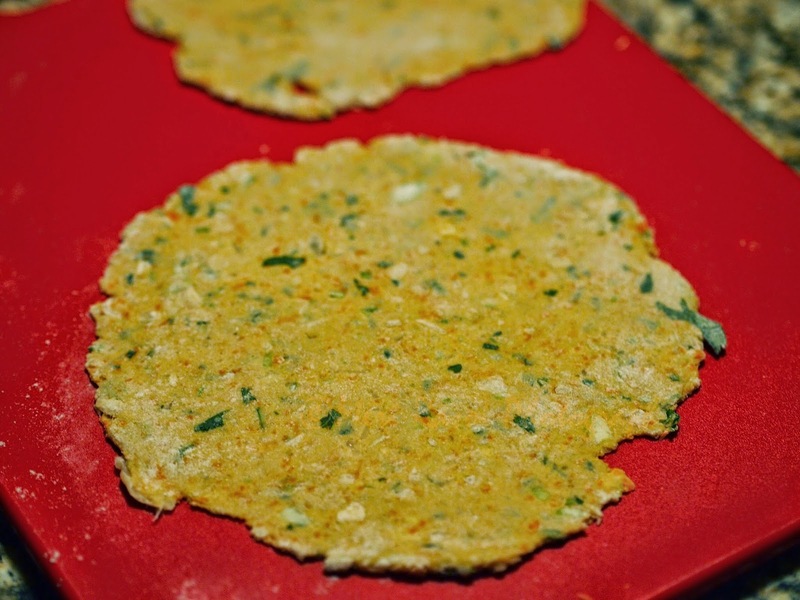 Parathas are a common affair for weekend breakfasts or Brunch. 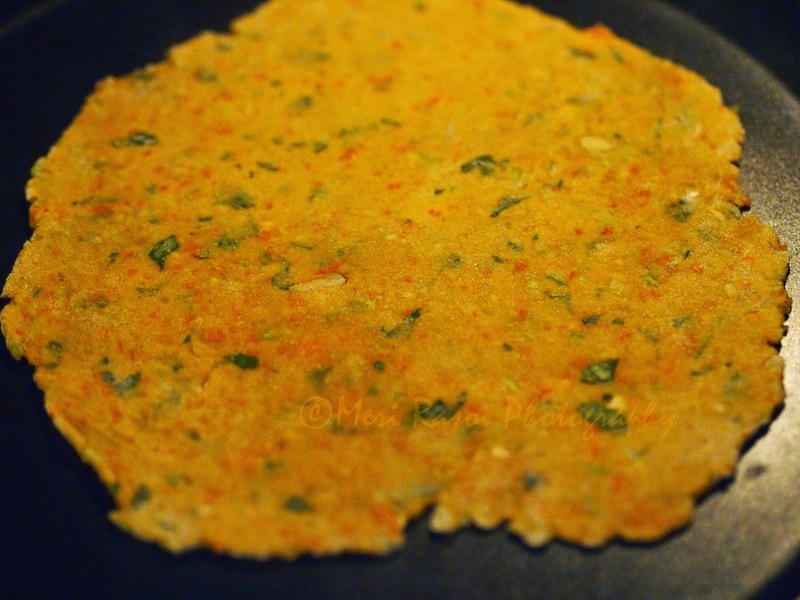 If we are having parathas in breakfast, then for DH and DS , I serve it with egg omellete (or scrambled eggs) and I myself eat parathas with achar (pickles) and yogurt ( I do not eat eggs, hence a different treatment to myself:)) If we plan on having Brunch, then I serve parathas with a side dish and thick yogurt. 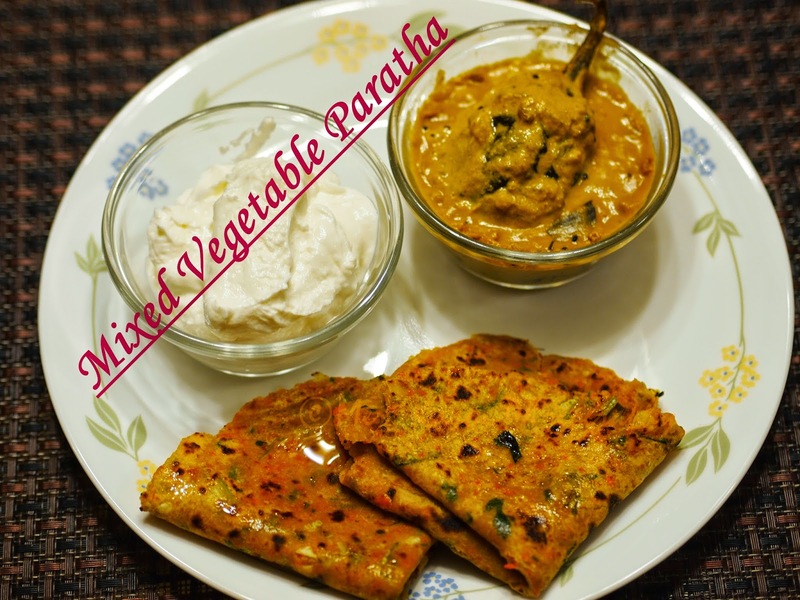 Believe me, it is such a fulfilling meal:) Recently during one such brunch , I served these MIXED VEGETABLE PARATHAS with Baghara Baingan and yogurt. 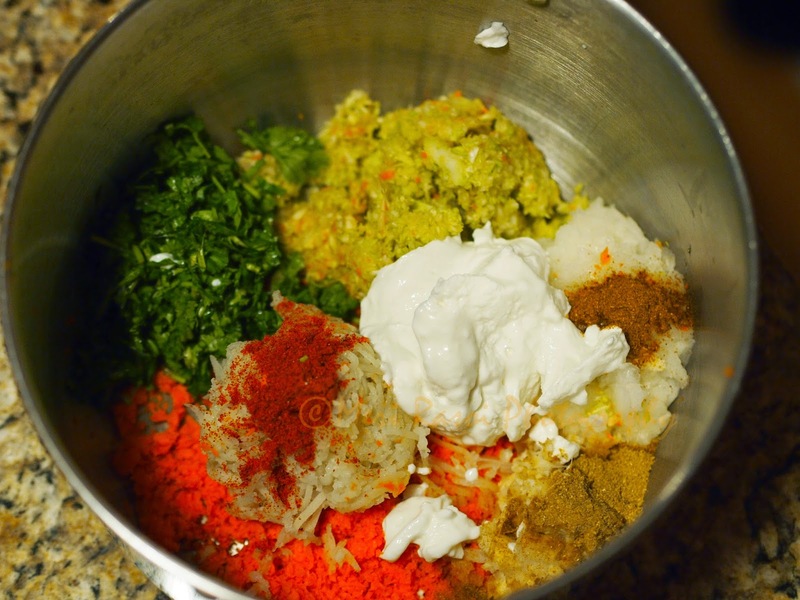 Take all the ingredients except Oil and Flour in a large mixing bowl. 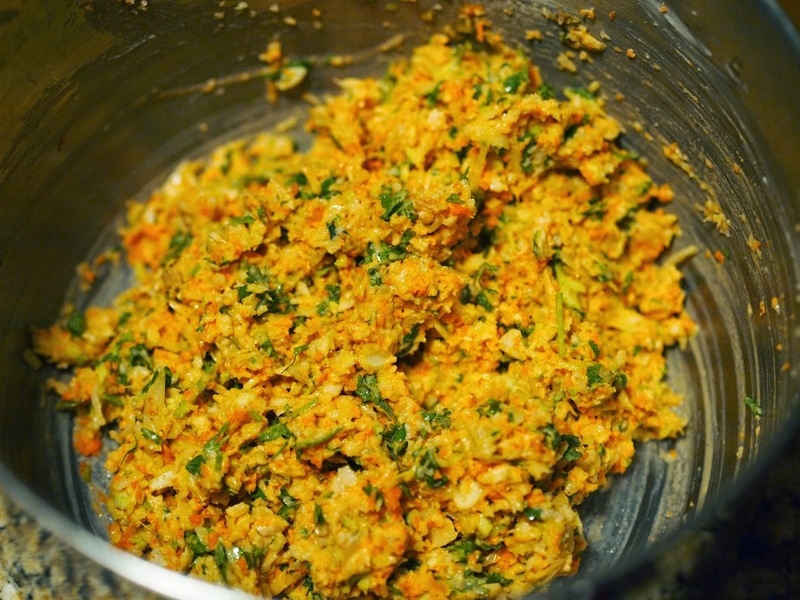 Since the salt has been added, the vegetables will start leaving some of their moisture (water). 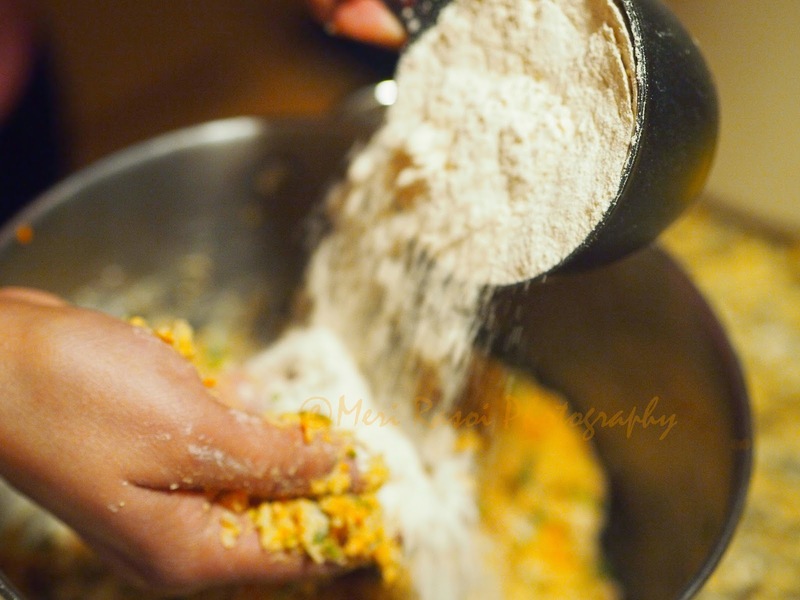 Now add the flour little by little and start binding it to make a dough. 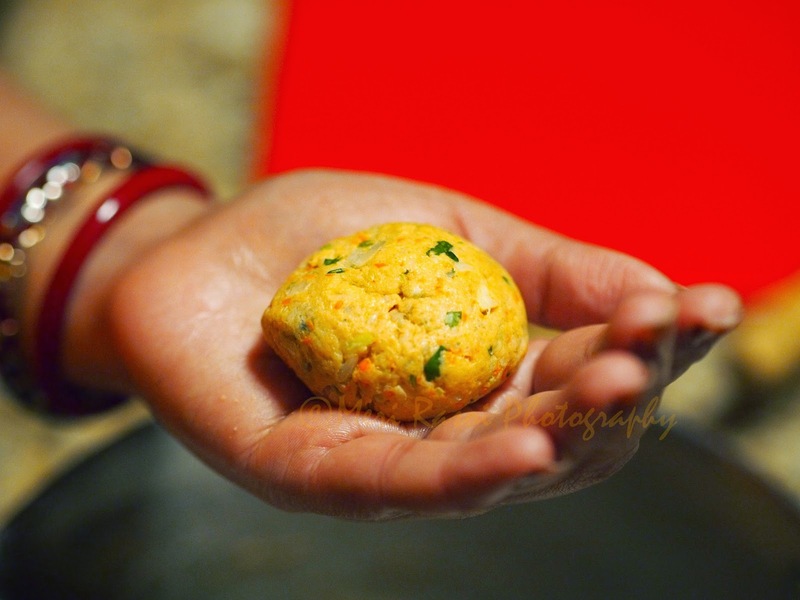 Add just enough flour so that you can easily make balls from the dough with out it sticking to your hands. I used about 2 cups of flour. 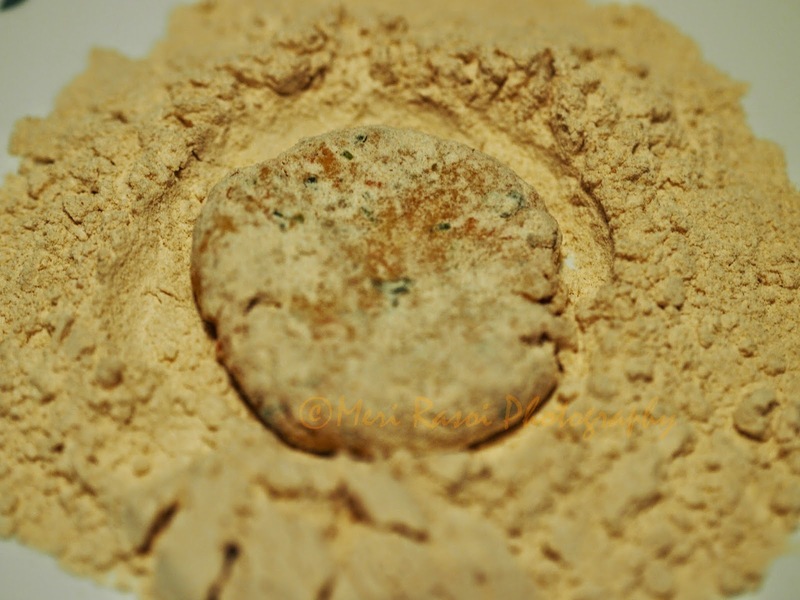 This might differ depending on the moisture content in the yogurt used and so also the flour. Hence , do not add the flour all in once. Add it in batches. Lastly add the oil and give the dough a final knead. Make balls from the dough. Lightly dust a ball with flour and roll it in to a circle (dusting in between ). Do not roll it too thin. Repeat the process for all the other balls. Heat a tava. When the tava is hot, put a rolled paratha on the tava. 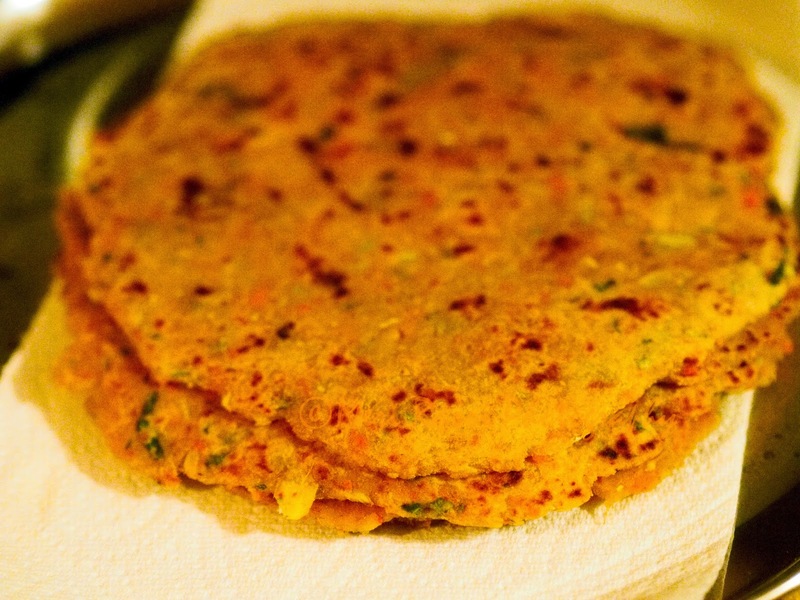 Once you see bubbles appearing on the surface of the paratha, flip the paratha. 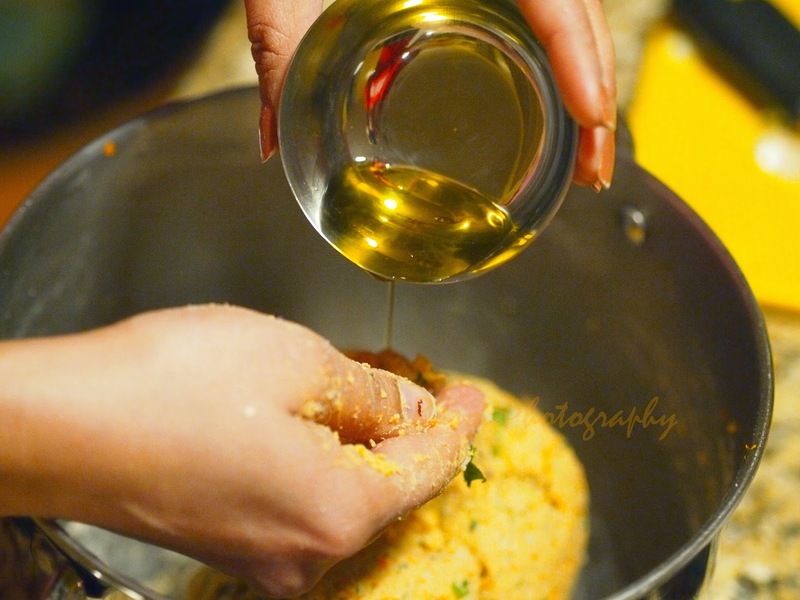 Now apply 1/4 tsp of oil on the surface facing upwards. 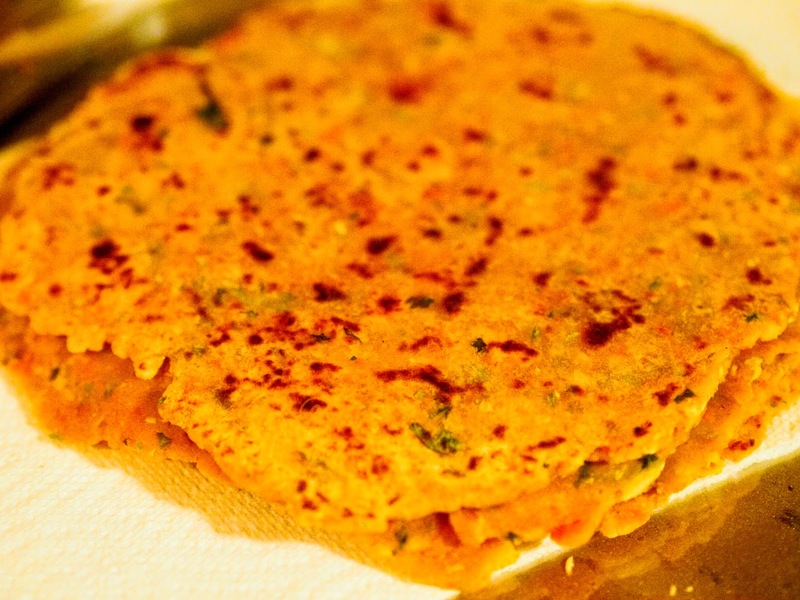 In a minute or two , flip the paratha again and apply oil to the other side too. 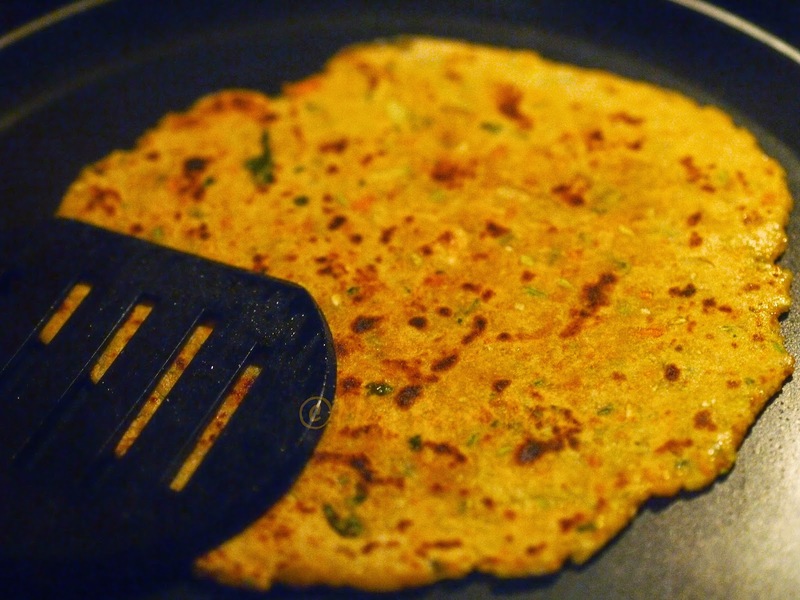 Press the paratha with the spatula all over so that it gets cooked really well. 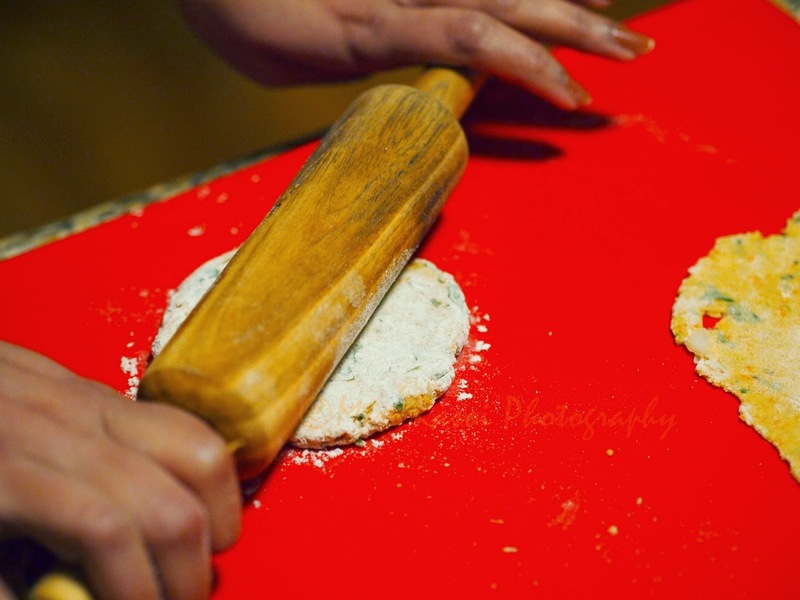 Repeat the process with rest of the rolled parathas. 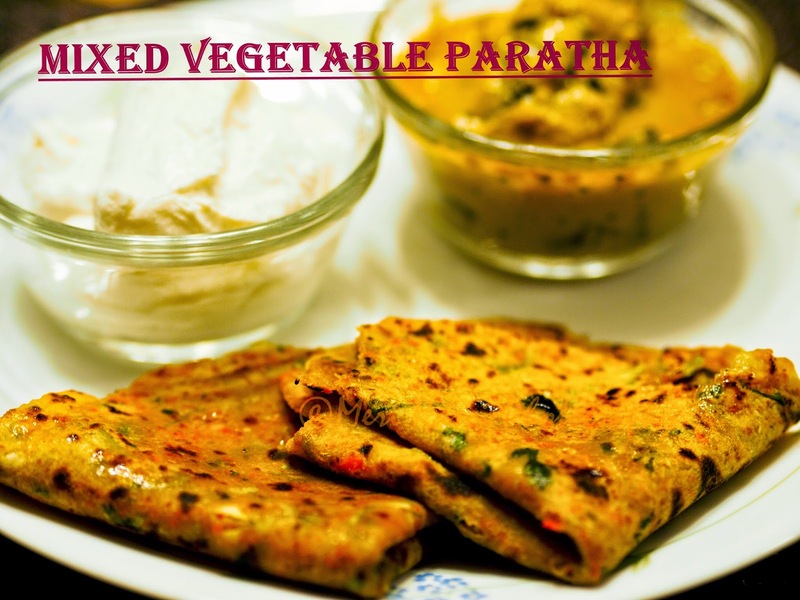 You can serve these parathas with sabzi or curry of your choice or just with pickles (achar) and yogurt.